“Canucks Day” has been announced in the city of Vancouver, following the team’s dramatic first round series win against the LA Kings. While some fans are not thrilled by the idea, we think it’s great to see the mayor and the city embrace the club. They’re even sending Fin the Canucks mascot downtown to hand out white towels. He’s working on an off day – give it up folks. 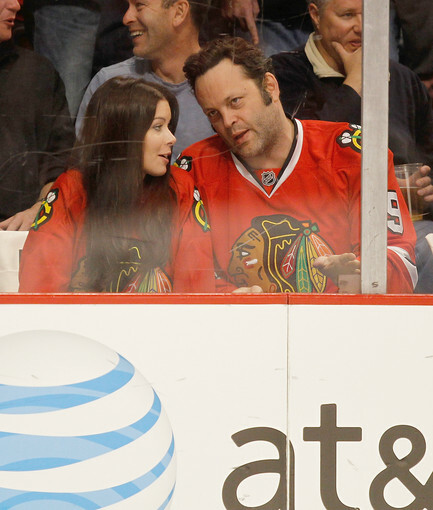 Vince Vaughn and wife Kyla Weber talk forechecking at a recent Blackhawks games. Or maybe Vince is deciding on hot dog toppings. Either way, you have to love the team dedication. 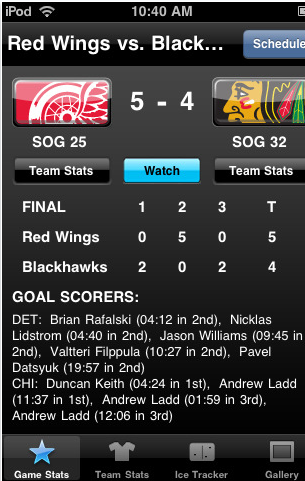 And isn’t Kyla a Flames fan? Respect. 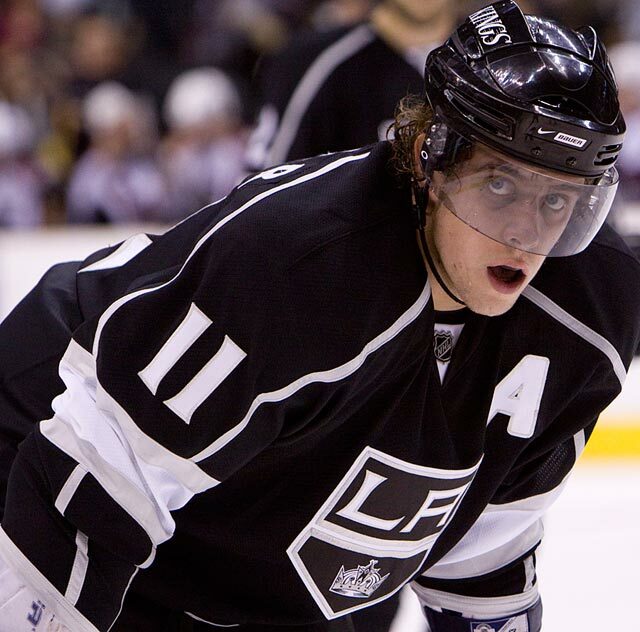 The Los Angeles Kings play tough hockey, as seen by their fierce checking against the Vancouver Canucks this week. But their alternate jersey isn’t exactly what you’d call tough – it’s just flat-out cool. This is the sort of design that makes NHL jerseys better than most other sports jerseys. A tribute to the Kings’ “Silver and Black Era”, it might just be why LA is skating with such gusto in this playoff series. The jersey retails for $114.99.